Gloaming – A Multi Race Winning Racehorse That Had Many Consecutive Wins. Gloaming was foaled in 1915 to the sire Welkin, which made his parental grandsire Flying Fox who was an English Triple Crown winner. 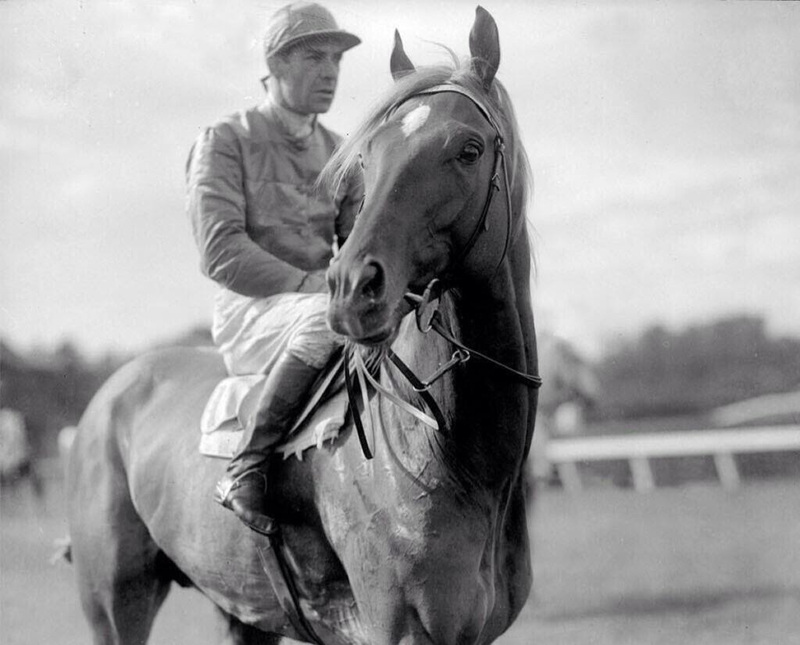 Named Gloaming, meaning twilight or dusk, he went on to become one of the most influential racehorses of his era. 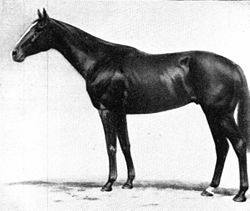 Gloaming stood out amongst the thoroughbreds of his time due to his staggering amount of victories, as well as setting a large number of records on various tracks. Gloaming was a well-built bay, with a brilliant disposition and a good amount of rein. He was sold to Mr H. Chisholm acting on behalf of George D. Greenwood, of Teviotdale in the Canterbury Region, New Zealand for a mere 230 guineas, or one pound shilling. In total Gloaming earned $43,100 in winnings throughout career making him quite the bargain. Over his career he raced against, and beat, many champion racehorses such as Desert Gold, Beauford, Kennaquhair, Whittier and The Hawk. Gloaming had a lengthy career racing over a period of six seasons. At his first race he annihilated the competition at the Sydney Tattersalls Chelmsford Stakes in Australia, defeating a number of imported horses for an impressive first place. It was the first time an unproven three year old was able to start so strong and maintain the pace. Between 1919 and 1920 Gloaming had an almost perfect season, only losing out on one win to Poiter, whom he beat in the next race. His next season was perfect with him winning all fifteen of his races, included the Isling Plate and the Auckland Plate hosted in Australia. Gloaming then continued to race until 1925, to an almost unbeaten record. He won the Challenge Stakes more than once as well as the Craven and Melbourne Stakes. He had an amazing 67 race starts in total and managed to be victorious in 57 of them. He came in a strong second the rest of the time. Placing a wager on the bay gelding became a sure thing, with huge crowds flocking to see him win time and again. Favourite bets included a Win or a Both ways, either of which was almost guaranteed to pay out. These are the kinds of wagers that are still popular with those who enjoy Caulfield Cup betting, or betting on any other big race. Gloaming was retired while he was still in good form, unfortunately a gelding however. Unluckily for both the Australian racing industry and his owner, Gloaming was gelded at the age of two before he began his racing career. He retired to his owner’s property as a living legend, living out his days in a field. He has been inducted into the New Zealand Racing Hall of Fame, alongside the other four turf champions Carbine, Kindergarten, Phar Lap and Sunline. The Group Three Gloaming Stakes that is run at Sydney’s Rosehill Gardens Racecourse is named in his honour. Gloaming was a one of a kind horse the like of whom has never been seen since, and is very unlikely to ever be seen again.